THE CONVERTORUM: Fresh blood... Bloooood!!! 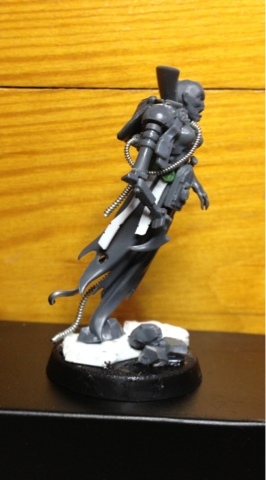 Star Vampiress building phase complete. Now it's off to the spray-tan saloon for you missy! Very cool and very different. 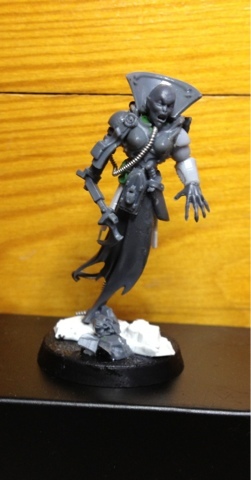 A Psyber Vampire - have to say it's a first for me. Really like it though I think the concept is strange. Psyber-vampire(ss) - there we have it! Great name!! I very much like this concept. The human arm still looks a bit beefy, though. Well... I agree, but black is slimming.. Very nice looking model! 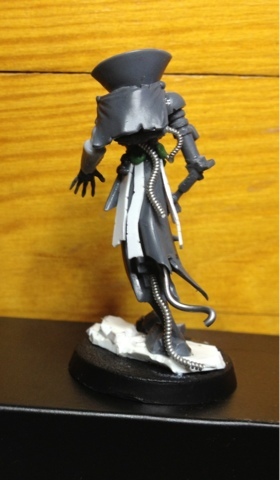 The wraith kit is often used in Inq28 models, but this one is completely different from all of them! I really like the bionic arm; it is very thin and spectral, very fitting with the rest of the model. Excellent! Thanks man - but its not based on the wraith model... It's the bottom part of the banshee.